... Yep this is one my "dad" LOs... I'm getting quite the collection of those...but believe me this form of therapy is WAY cheaper and actually kinda fun...and I'd rather be doing this then trying to cope in other ways...but this photo is of "MY FAMILY"...my parents and me and my sisters...it was taken at the Golf Benefit we put together for my dad literally in weeks for my dad at the golf course he is a member of and we raised enough money for him to go play at Pebble Beach this last summer...one if his life dreams...we did it so quickly because when his tumor came back we weren't sure how much time he would have...we are so thankful he is still here with us fighting every single day...The journaling is actually lyrics to a song...a song that I heard one day...many months ago that stopped me in my tracks and literally made me bawl...it just felt like it was written for us...THOUGH the actually meaning of this song is NOT the meaning my family hears when we listen to it...it's called "Lead Me". I love the song that you quoted on your layout I have it on my Ipod! So much truth in the words. Your layouts are beautiful. I would never have thought of putting yellow and grey together, but I love it!! Another beautiful LO and what an awesome song to feature on it. "Lead Me" is such a great song - May you continue to find strength to get you through each day. God "leads" us through many challenges - even when we do not have the strendth to do it on our own. Stay Strong and God will bless you. LOVE them both! Beautiful job and what a great song! Great LO's. I need to try to get back to scrap booking again. That song makes us all cry! 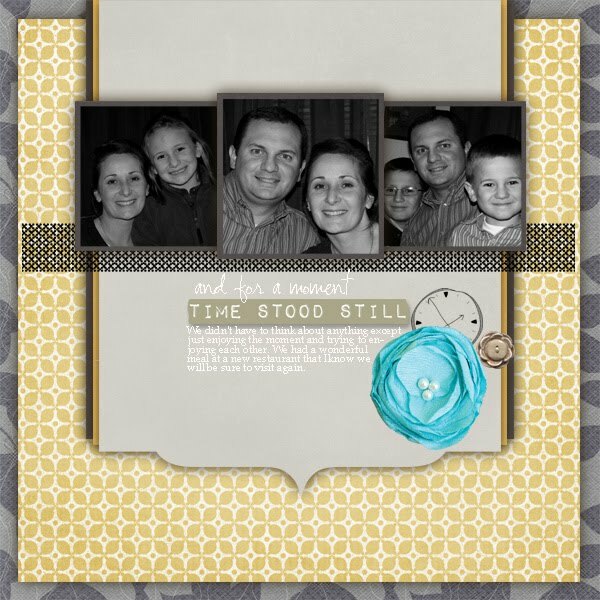 LOVE your clean and beautiful scrapbooking style, Renee! Looking forward to seeing your beautiful work!